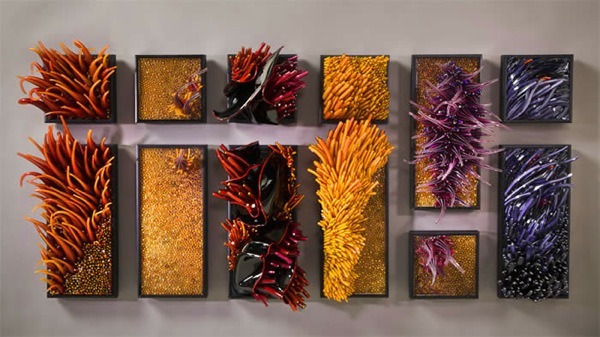 The Glasswork of Shayna Leib « Adafruit Industries – Makers, hackers, artists, designers and engineers! 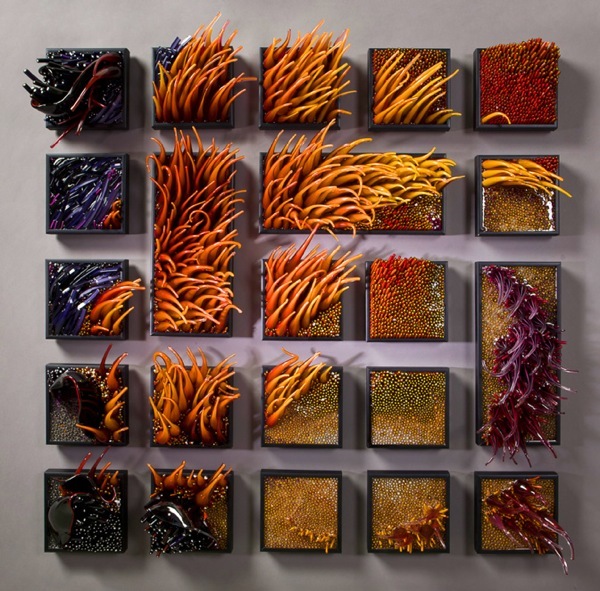 The Glasswork of Shayna Leib @ Colossal. Each of the pieces in her Wind and Water takes nearly a month to create and involves a painstaking, multi-step process that begins with pulling individual 30-50 foot segments of glass called cane (imagine making 2400 °F taffy candy), a step that’s repeated 8 to 200 times depending on the scale of the piece. To clarify: she generates over 1 mile of thin glass pieces from which she cuts into tens of thousands of segments organized by shape and length. Next begins the tedious process of building the actual sculpture, requiring roughly 45 minutes for each two square inch area. This all seems practically impossible to me. I get dismayed when confronted with a jumbo-sized bag of carrots.